I think you're supposed to start becoming a grown up once you graduate, but instead I've chosen to go down the path of running about in dungarees and a rucksack, looking suspiciously like one of the minions from Despicable Me. Which, as an almost full-time resident of the cinema, I fully recommend you go and see if you haven't already. My family, I mean... the minions, alone will make your trip worthwhile. I picked out these dungarees a couple of weeks ago from Sheinside when, apparently, I was feeling brave. Admittedly I was a little scared of them when they arrived, but they're so much fun to wear and it's actually scientifically proven that wearing yellow makes you happier* so, win win. * I have no idea if this has been scientifically proven. 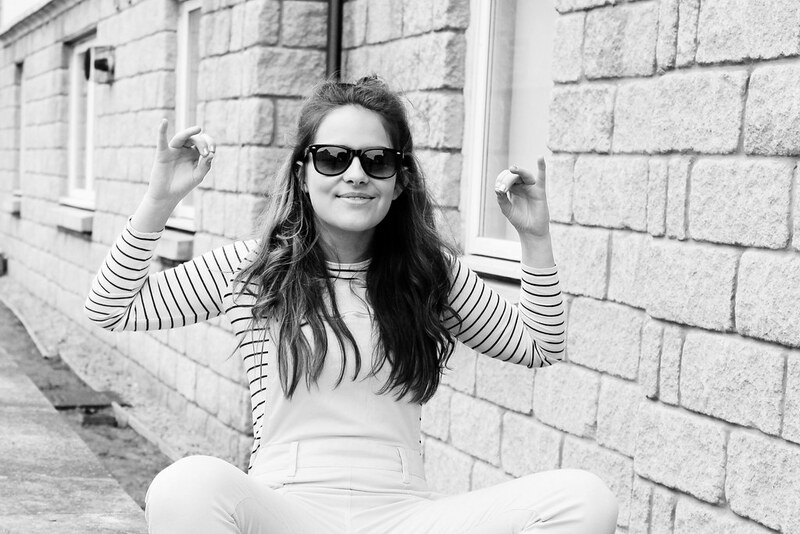 Love your dungarees! The yellow is so pretty, and really suits you! Completely in love with this look!! Love the look, you look really nice. I LOVE those yellow dungarees! And it's true, wearing yellow does make you happier. I have a pair of yellow cat-covered jeans that ALWAYS put a huge smile on my face. How amazing do you look in these. I had some pastel yellow short ones when I was growing up, OH EM GEE, I loved them, so this outfit really made me smile. 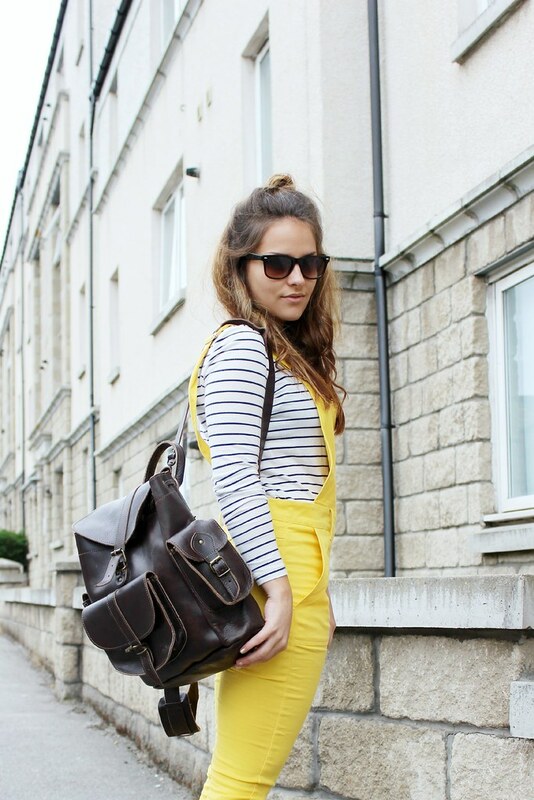 Such a cute fun outfit, I absolutely adore the yellow! You look great ! really love this outfit ! They actually look pretty great, very brave! hahahaha, love the minions and the is a kid in all of us and sometimes waiting to come out. The dungarees are really daring but cool. LOVE this look. Your shoes and dungarees are fab!